Riverside Oral and Facial Surgery, P.C. Riverside Oral & Facial Surgery is a full-scope, maxillofacial and facial cosmetic surgery practice located in Rome, Georgia. Although new under the Riverside name, our practice has been located in the Rome area since 2004. We’ve recently moved to a new location in Riverside Professional Park, by the Rome Braves stadium – a map and driving directions to our new office can be found here. Our staff is well-trained in all aspects of oral and facial surgery. From hospitality and thoroughness at the front desk, to the reassuring professionalism of our back staff surgical assistants, we’ll do our very best to make your surgical experience both pleasant and non-threatening. We work closely with your referring doctors to best meet your procedural needs, and to keep thorough and complete lines of communication open. About Robert. K. Hunt, D.D.S., M.D., F.A.C.S. Raised in the Atlanta Area, Dr. Robert Hunt received his D.D.S. from the Baylor College of Dentistry in 1985 and his M.D. from the University of Alabama in 1994. 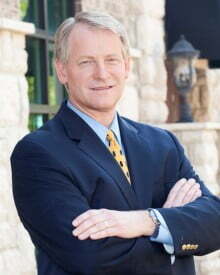 Dr. Hunt is also a Georgia Tech graduate, and in 1989 finished a full-scope, four-year oral and maxillofacial surgery residency at the Medical College of Georgia. In 1995, he completed a one-year general surgery internship in Spartanburg, South Carolina, followed in 1996 by a 6 month fellowship in cosmetic surgery in Little Rock, Arkansas. We perform many types of procedures related to oral surgery at Riverside Oral and Facial Surgery. Dr. Hunt’s expertise in procedures (including dental extractions, dental implants, preparation for orthodontics, oral pathology and many more) make him a knowledgeable and popular oral health care provider in the northwest Georgia area. Riverside’s Surgeons are uniquely qualified to perform cosmetic procedures involving the aesthetic aspects of the face, mouth, teeth, jaw, nose, ears, neck & eyes. Due to recent advances and specialized techniques, many facial cosmetic surgery procedures are minimally invasive and can be performed in the office setting using local and/or intravenous sedation or General Anesthesia. As a result, patients are able to recover quicker and benefit from the cost savings that office-based surgery provides.A consultation with Dr. Hunt or Dr. Smalley can determine if you are a candidate for these procedures. Skin care & enhancements also available. We accept all major credit cards, exact cash, (electronic) checks and offer Care Credit & River City Bank Financing. Both insurances may cover your treatment, please provide us with your insurance information prior to your appointment as this will allow us time to determine participation and benefit information. A variety of insurance companies are accepted, & we work diligently to assist you in receiving the maximum coverage for your procedures. However, your coverage is based on the contract between you & your insurance provider. You may have coverage from either medical or dental insurance, depending on the procedure. We assist you in maximizing your coverage. We can then reach out to your insurance provider during your appointment, and compile as much information as possible to best understand your out of pocket expenses. Dr. Hunt has been practicing oral and maxillofacial surgery since 1985 and cosmetic surgery since 1995. He is board-certified by the American Board of Oral and Maxillofacial Surgery as well as the American Board of Cosmetic Surgery, and is an examiner with the latter. Recently, Dr. Hunt became a Fellow of the American College of Surgeons, and is on staff at the Redmond Regional Medical Center. Dr. Hunt is certified in Basic Life Support (BLS), Advanced Cardiac Life Support (ACLS), Advanced Trauma Life Support (ATLS), and Pediatric Advanced Cardial Life Support (PALS).